As a state established by Khan Asparoukh, Bulgaria has existed for more than 13 centuries. In 681 the Bulgarian State was founded with Khan Asparoukh as the leader of a union of the Slavs and the Proto-Bulgarians in their struggle against Byzantium. In 1187 the Second Bulgarian Kingdom, with Turnovo as its capital, was established. The Third Bulgarian State had its start with the San-Stefano peace agreement signed on March 3rd, 1878. As a result of that agreement Bulgaria was restored on the territory of the three historical and ethnic Bulgarian regions – namely Moesia, Thrace and Macedonia. After restoring national state-hood in 1877/1878 Bulgaria was a constitutional monarchy with a democratic government and a quickly developing economy. Bulgaria is especially proud of its rich folklore traditions. Folk dances, music, national costumes and traditional rituals have an important place in the life of Bulgarians. Every town and village celebrates Christian holidays and folk festivities in its own special way. Discovered in 1944, this tomb dates from the Hellenistic period, around the end of the 4th century B.C. It is located near Seutopolis, the capital city of the Thracian king Seutes III, and is part of a large Thracian necropolis. The tholos has a narrow corridor and a round burial chamber, both decorated with murals representing Thracian burial rituals and culture. During the Middle Ages the strong Bulgarian fortress of Boyana (Batil) stood on the lower slopes of Mount Vitosha in what is now the Sofia suburb of Boyana. This name is mentioned for the first time in 969. Boyana was one of the thirty-five fortresses and settlements, which formed the fortification systems of the city of Sredets (Sofia). The Boyana Church was build within the fortress and is a magnificent example of medieval architecture and monumental art. Located on almost a cosmic landscape - rock massifs, enveloping the picturesque river valley near the city of Rousse. As if striving to be closer to God, hermit monks settled here during the 11th - 14th century, digging cells, churches and chapels into the rocks. Talented artists painted them with realistic frescos, exquisite in colour and composition, and turned them into a treasure trove of Bulgarian mediaeval painting. In 1983 Nessebur was put on the UNESCO List of World Cultural Monuments. Systematic archaeological studies, reinforcement, restoration and conservation have preserved the material traces of history more than anywhere else. You feel as if you are on the borderline with another world. The small peninsula is a meeting place of bygone times. The millennia of uninterrupted human occupation (the earliest traces of human settlement date back to over 3000 years ago) have produced an impressive cultural layer which is as thick as 6 meters in some places. The Madara Rider, representing the figure of a knight triumphing over a lion, is carved into a 100-m-high cliff near the village of Madara in north-east Bulgaria. Madara was the principal sacred place of the First Bulgarian Empire before Bulgaria's conversion to Christianity in the 9th century. The inscriptions beside the sculpture tell of events that occurred between A.D. 705 and 801. Srebarna Lake is located on the Danube flood plain, 19km west of the town of Silistra. The area was declared a wildfowl refuge in 1942 and established as a nature reserve in 1948. Srebarna is the only natural tract of land of any considerable extent to be protected in north-eastern Bulgaria, a floristic region of the Ukraine-Kazakh biotic province. Plants include the reed community Phragmites communis which occupies two thirds of the reserve and forms a thick barrier around the lake, water lily Nymphaea alba and a number of rare marsh plants. Some 67 plant apecies can be found in Srebarna Nature Reserve, some of which are rare in Europe. The reserve was set up primarily to protect the rich avifauna, nearly 180 bird species (half of the Bulgarian avifauna), including 80 migratory species. There are 99 breeding species, including the only Bulgarian colony of Dalmatian pelican. Difficult of access, but singulary beautiful, the Pirin Mountains have always attracted man and yet remained an enigma. A protected area of 27,400 hectares is located in the northern and central mountain part. About 60 alpine peaks, snow-capped for most of the year, rise above 2,500 m and eternal snow glitters at the bottom of the circuses. The clean mountain waters flow into more than 176 glacier lakes. The fame of the Pirin forests, covering more than half its area, is due to the black and white fir. Some 97 different small plant varieties glow here. Almost extinct animal species such as the wild goat, wild cat and capercaillie have also found shelter in Pirin. Rila Monastery was founded in the l0th century by the Bulgarian monk St. John of Rila and was rebuilt in the l3th -l4th century. From that time are the fortress tower (1334), the bishop's throne, richly carved doors and some manuscripts, icon-paintings and church plates. In the l5th century, when Bulgaria fell to the Ottoman Turks, the monastery was abandoned for a short time but in the second half of the same century it was restored to a new life. Later it was for several times plundered and ravaged. Its thorough renovation began in the early l9th century. It was then that the residential wings and the church of the Holy Virgin were raised (1834-1837). The Rila Monastery has been listed as a world monument of culture. In it there is a well-appointed museum. Located in a region declared an archaeological reserve, near the town of Razgrad. 2300 years ago master stonemasons erected the tomb of a Thracian king. Perfect as architecture, it amazes both with its wealth of sculptural ornaments - the caryatides below the vault, rosettes, stylizes ox heads, garlands, colonnades, as well as the ritual of heroization painted in vibrant colours. A remarkable monument of Thracian art - the biggest sensation of ancient archaeology in the recent years. 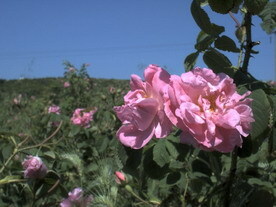 The famous Bulgarian rose oil, produced in the region of Kazanlak, is a component of French and of other world-famous perfumes. The legend of the Thracian singer Orpheus, who charmed gods with his music, tells that he was born in the Rhodopes. Bulgarian singers and musicians of today are no less famous than Orpheus. One of the most famous opera bass-singers (Boris Christov and Nikolai Gyaurov) and the beautiful soprano Raina Kabaivanska and many others are Bulgarians. The 'Voyager' spacecraft launched in the 1970s on a voyage to meet and communicate with other planets, carried a laser disc of ten songs believed to be representative of 'Earth'. One of these songs was the Bulgarian tune “Izlel e Deliu Haidutin” from the Rhodope region. 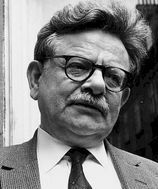 Elias Canetti was born in Bulgaria. The inventor of the first electronic computer, John Vincent Atanassoff, was of Bulgarian origin. The famous football player Hristo Stoichkov was born in Bulgaria. He was the man who led Barcelona to their first European Champions' Cup! The Environmental Artist Christo (Javacheff) was born in Bulgaria. He produced dimensional packaging projects for buildings, skyscrapers and landscapes. 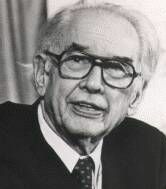 His well-known large scale projects were Valley Curtain, Rifle, Colorado in 1972 and Running Fence, California, in 1976. A “divine elixir”, a “magic of Nature” are words often used when talking of honey, yet they are never sufficient to convey the significance of all the advantages this kind of wonder-food contains. 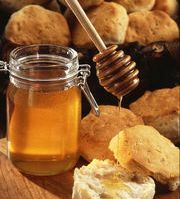 In the Ancient East people used honey not only for its nutritional qualities, but also as a universal remedy.